Take a trip with me to my home state and view the beautiful fall photos from a Virginia session with the Donahoe family. Seasons and colors unseen and unheard of here in sunny Florida! And a family whom I haven’t seen in a year! One year really does make a huge difference! Maybe not so much for Elaine and Andrew, who haven’t aged a day, but you see the time change in their son! Boy, has Lucas grown! I never get over how quickly kids grow up! Just look at first session compared to now! Lucas is a little man now! And so much more familiar with the camera 📷😃 In 2016, he was taking much smaller steps … Teasing his mom and trying to get her to chase after him: I mean, look at that smile! You can’t get any better than that! Just a little play time with mommy and daddy: We even got a quick second for some romantic shots of Elaine and Andrew 💕 Lucas was not a fan of mommy and daddy kissing. He saw them kissing and automatically screamed “ewwwwww.” Haha! So in love with pictures like this: natural, fun, and real! There’s nothing more fun than playing on daddy’s shoulders! 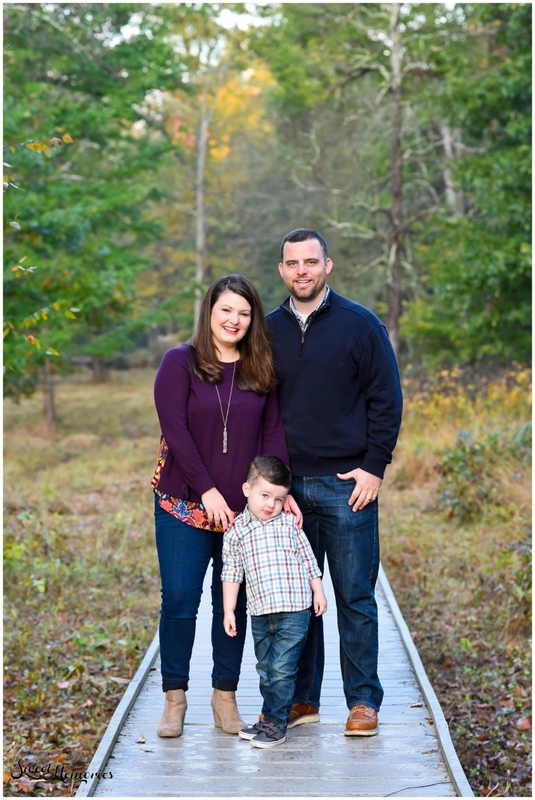 Thank you so much for taking time out to read and check out “A Virginia Session with the Donahoe Family.” Click to see more family fun!